Actor Ken Garcia expects a banner year after completing two feature films with cast members Melanie Griffith, Tom Sizemore, Michael Madsen and Vivica Fox. The road to becoming an actor can be treacherous, rough and uncertain, but it has not deterred Ken Garcia. He is poised and ready for any good acting roles that grab his attention. Although Ken has been an actor for a number of years in both film and television, this year could prove to be his best. A year ago Ken partnered with award winning film producer Suzanne DeLaurentiis to launch the Mentor Program. They meet once a week on the lot of Paramount Studios where he uses his thespian voice to coach Mentors. Ken was born in Southern California and began his acting career after graduating from Chico State University. In addition to his skill as an actor, he is certified in the art of Krav Maga, an Israeli style of self defense. Ken is also a National Champion in Speech and Debate. “The Grief Tourist” and” Black Gold – The Struggle for the Niger Delta” are scheduled for release in the fall of 2011. Ken Garcia is a 20 year veteran actor who has worked in both film and television. Ken is an acting instructor and proficient in the martial art of Krav Maga. 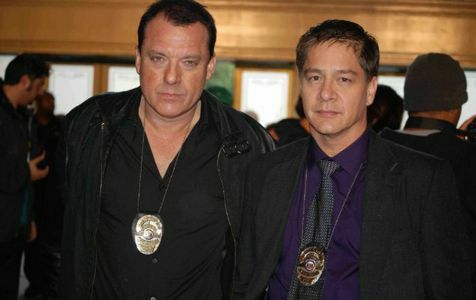 “Prior to acting on those movies, Ken acted in several television shows; “The Shield”, “CSI Miami”, “The Ex-List”, “Las Vegas”,” Crossing Jordon”, the “Invisible Man” and a number of others.